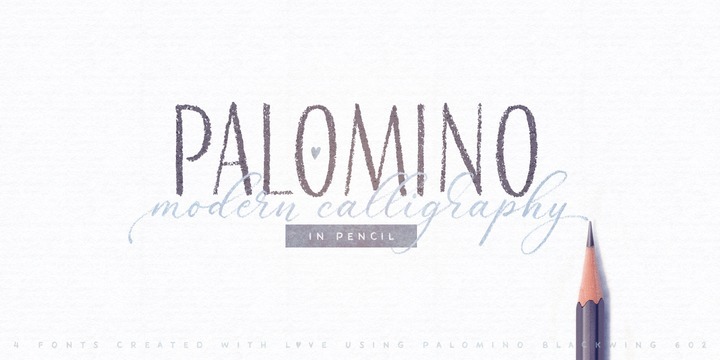 Palomino is a handwritten sans serif typeface created by Elena Genova and published by My Creative Land which is available in 4 styles, Open Type features such as initial & end-of-word swashes, ligautes alternates, stylistic alternates etc and language support. This versatile font is ideal for fashion purpose, wedding, branding etc. Price: starting from $15,00 for one font to $69,00 for all 4 fonts. A font description published on Wednesday, April 11th, 2018 in Elena Genova, Fonts, MyCreativeLand by Alexandra that has 1,742 views.